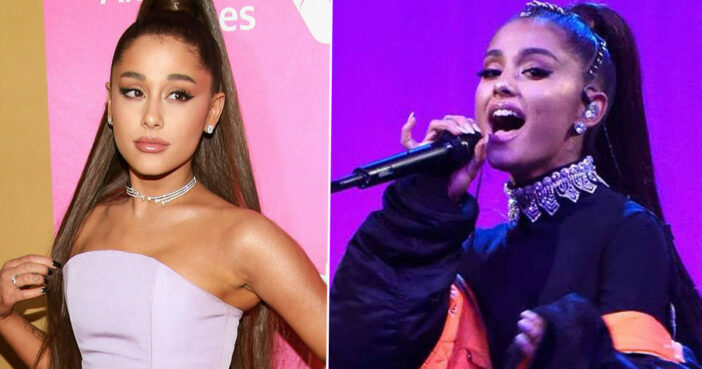 Ariana Grande has spoken about the effects of PTSD in an Instagram story, sharing brain scans as a way to communicate about the mental health condition with her followers. The 25-year-old singer shared scans of ‘normal’ brains side-by-side with those of people suffering from PTSD (post-traumatic stress disorder). Scans from people with PTSD showed how parts of the brain were ‘lit up’ in regions where healthy brains would usually show mostly darkness. Ariana proceeded to reveal four of her own brain scans which showed areas of brightness just like the ones with PTSD. She captioned the story ‘Hilarious and terrifying’. Ariana has previously spoken about issues concerning mental health following the 2017 terrorist attack at the Manchester Arena, a bombing which left 22 people dead and over 100 injured at the conclusion of her show. They may also have problems sleeping, such as insomnia, and find concentrating difficult. These symptoms are often severe and persistent enough to have a significant impact on the person’s day-to-day life. This isn’t the first time that Ariana has opened up about how the events of the Manchester attack have affected her. I hate…yeah…admitting it but it very much is. That’s what everyone was telling me. It’s hard to talk about because so many people have suffered such severe, tremendous loss. But, yeah, it’s a real thing. I know those families and my fans, and everyone there experienced a tremendous amount of it as well. Time is the biggest thing. I feel like I shouldn’t even be talking about my own experience — like I shouldn’t even say anything. I don’t think I’ll ever know how to talk about it and not cry. I think a lot of people have anxiety, especially right now. My anxiety has anxiety… I’ve always had anxiety. I’ve never really spoken about it because I thought everyone had it, but when I got home from tour it was the most severe I think it’s ever been. Everybody thought I was crazy when I got home and wanted to hit the ground running. The bravery Ariana has exhibited by speaking candidly about PTSD will no doubt resonate with a lot of people. I wish her all the strength and love she deserves as she continues to be a source of support and comfort to fans.